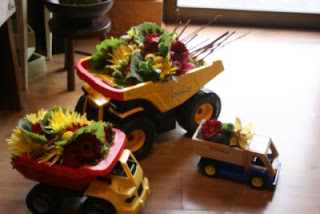 Our client was throwing a party for her son’s birthday. 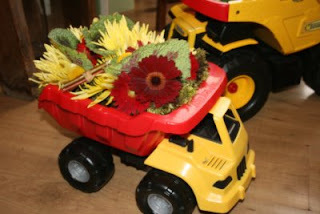 We used his favorite dumptrucks as containers for these high impact and super fun flowers. 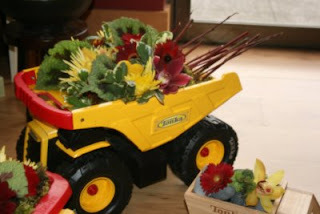 You can use any item as a floral container: pots, pans, water pitchers, teacups, and yes, your kids toys! « Add a “woobie” blanket….